The Office of Sustainable Communities in EPA’s Office of Policy is seeking letters of interest from state capital cities that want to develop in ways that reflect the principles of smart growth, green building, and the Partnership for Sustainable Communities. The Partnership for Sustainable Communities is an interagency effort of EPA, the U.S. Department of Housing and Urban Development, and the U.S. Department of Transportation to protect the environment, promote equitable development, and help address the challenges of climate change. The goal of Greening America’s Capitals is to help state capital cities create a clear, implementable vision of distinctive, environmentally friendly neighborhoods that incorporate innovative green building and green infrastructure systems. EPA will provide design assistance to successful applicants. In an effort to reduce the cost of solar energy systems by 75% before the year 2020, the DOE has created incentives to promote a national collaborative effort towards the advancement of rapid, large-scale adoption of solar energy across the U.S. One of the main objectives of this initiative is to streamline permitting, and interconnection to create more efficiency, thus reducing costs. A by product of this initiative is an anticipated increase in American technological leadership and competitiveness in the global green energy race. For further information, and to link to webinars related to this subject please visit here. The Our Garden Series is held at the Contra Costa Times, 2640 Shadelands Drive, Walnut Creek every Wednesday at 10 a.m. On July 27, Linda Mizes spoke about the benefits of composting and outlined some simple tips on how to compost in your own garden. Mizes, explained that by using kitchen scrapes, yard waste and a little effort, composting for your backyard garden can be of great environmental contribution. By composting kitchen scraps, you reduce the amount going to landfill and produce your own fertilizer which will promote healthy plant growth without the use of harmful chemicals. Classes in August cover topics such as vermaculture, starting your winter garden and succulent gardens as a means of reducing the need for water. Learn more here. place since 1996 and a long record of Mayors and city officials who have supported “green” legislation.Article. The Land Trust of Napa County purchased Wild Lake Ranch. This land trust runs along a ridge line in Napa County whose preservation is fundamental to keeping land that is preserved for future generations. Sterling Vineyards have been supporting Wild Lake Ranch since their 2004 vintage of Wild Lake Merlot. Please visit here to find out more details about Sterling’s efforts to preserve land and promote. Contra Costa County Climate Leaders (4CL) is proud to announce our new newsletter section – East Bay Energy Watch (EBEW) News. 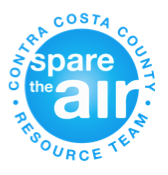 Through our recent partnership with QuEST and PG&E, 4CL will be focusing on energy reduction programs and strategies to help you, our Contra Costa County Cities, reduce your energy use and greenhouse gas emissions. Learn more about EBEW here. To figure out how to save energy and money on your building, you need to first know how much energy you are currently using. (Learn about benchmarking here.) Don’t think you have the staff time to get this done? Neither did we. QuEST is providing personalized, on-the-ground-support to get City-owned buildings benchmarked. Attendance at one half-day benchmarking workshop is required to be qualified for their assistance. See “Upcoming Events” to learn about your opportunity to qualify on September 15th. Email info@cccclimateleaders.org for more information. Looking to reduce your community-wide emissions? Start with a marketing campaign to your local businesses for energy use reduction with EBEW’s Building Energy Connection. PG&E offers FREE audits for customers and an analysis of cost-saving retrofits. Learn more here. A postcard campaign from the city, like El Cerrito did here, shows your local businesses that you take climate action seriously and want to provide free resources to help them succeed. Let us know if you are interested in a campaign at info@cccclimateleaders.org. After running out of funding and hitting government hurdles last summer, law makers in Washington are reviewing re-instating the bill that funded the installation of energy efficient solar panels, water conservation, insulation and other such programs. Supporters of the legislation claim that this program has helped to put thousands of Americans back to work while simultaneously helping to reduce the cost of heating and cooling homes. Funding was earmarked to come from the stimulus money implemented by the Obama Administration, but when the Federal Housing Financing Agency instructed the government financial agencies Fannie Mae and Freddie Mac to limit and tighten their approvals of loans that included PACE funding, the program fizzled. Article. China has had to adapt many of its environmental laws to deal with the discard of toxic waste, rather than the creation of it. As more of our electronics have landed in china’s waste lands, the laws that govern how that is managed have had to change to adapt to the growing need. Recently, China has had to revisit its environmental laws as it becomes the world’s largest exporter and is seeing more of the “front end” creation of the pollutants created in production. Its attempt to have a one size fits all set of environmental laws is proving to be difficult to enforce and manage, thus leaving China with little impact behind the legislation. A href=”http://www.climatespectator.com.au/commentary/shaping-chinas-green-laws”>Article. The British government organization WARP, Waste and Resource Action programme, recently released a report showing that single use plastic bag consumption was up 5% in 2010 over 2009. This report also showed that during the same time period, Northern Ireland and Whales, countries that do have anti plastic bag legislation, had a reduction in use ranging from 7% to 14%. As efforts in England have been mostly voluntary and have failed to make needed improvements, the government is now considering taking legislative action. The British Retail Consortium-BRC, claims that the increase in bag consumption comes from an increase in consumption, overall. Their claim is that the volunteer program did, indeed reduce consumer’s bag use and has successfully changed the habits of consumers. As heat waves sweep across the mid-east and east coast, scorching everything in its path, many ranchers are finding it difficult to maintain their cattle ranches. Dried grasses, which the herds feed on, are forcing ranchers to purchase cattle feed, thus sparking the spiral of effects that lead to food price spikes. As the cost of keeping cattle rises, the cost of meat does as well. This cost increase is predicted to be passed along to consumers in the next few months. Grain prices are also assumed to increase as the demand for grain is up and the supply down due to lack of water. Article. A report by the Environmental Working Group was issued recently that revealed American’s high consumption of red meat and cheese has more than just negative health effects. Taking into account the environmental impact of processing, production, transportation, cooking, and waste, the EWG concluded that protein packed foods such as farmed salmon; beef, lamb and cheese are creating a toxic soup of chemicals that have worked their way into our air and environment. From the local perspective, many communities have taken action against the ill effects of mass food production by embracing the local food movement. Farmers’ markets, locally produced meat and dairy, and even backyard vegetable gardens have become all the rage, all while helping to combat the effects of commercial food producer’s emissions of greenhouse gasses. Article. Many cities have information on their websites informing residents about local food resources. See Chicago. A recent study from the C40 Cities Climate Leadership Group shows that the climate strategies implemented by many cities has a dramatic effect, mostly for the good, on business in their communities. Cities have used their existing waste management and recycling infrastructures to add services such as e-waste and composting to help reduce waste ending up in landfills. Incentives for promoting biking to work and plans to reduce packaging for products are being rolled out across most major cities. The newest focus has been on creating guidelines for benchmarking commercial building performance, and laying out new energy performance standards that are promoted with tax incentives for such businesses. For a full report please visit here. After decades of seeing native trout populations fall in Lake Tahoe, the Nevada Department of Wildlife will begin stocking the Sierra Lake on the California-Nevada border with native trout. The initial stock will be for the benefit of recreational fishers, but a team of state and federal officials from both Nevada and California have plans to implement stocking the native trout as a means for re-balancing the eco-system that has been damaged by the declining trout population. Article. A plan enacted in 1993 to ban the clearing of old growth trees in forests along the Northwest Region has resulted on some unexpected and exciting results. Originally intended to preserve old forest growth and protect some rare tree species, the Northwest Forest Plan has begun to see reduced carbon emissions due to the increased volume of tree growth in these protected area. Recent studies have shown that these areas, and even those surrounding them, are absorbing much of the carbon emissions in the atmosphere. This study is important because it gives a tangible result in actions taken that counties and even states can adopt. In a world of ever increasing consumption, and thus, higher carbon emissions, re-forestation presents a new possibility of reversing this trend. Learn more here. Tips and ideas for decreasing your personal ecological footprint, facilitate community building, and drive political action on climate change. More information. Credentialing requirements for HAVC contractors interested in gaining EPA approved credentials for Energy Star rated construction. More information. Benchmarking Building Energy – Save the Date! 4CL, QuEST, and PG&E welcome Mark Jewell of Energy Efficiency Funding Group to a workshop on benchmarking buildings. Learn what benchmarking is, why your city should be doing it and how to get it done for free! Email info@cccclimateleaders.org to learn more. A forum for informing the private and public sectors about the economic and environmental significance of turning waste materials to alternative fuels. More information. Thursday August 25th 4-6PM 3rd floor promenade Four Embarcadero Center, SF CA. Tour a LEED certified building to see examples of: lighting systems, solar window film, heating and air conditioning systems. All Energy Star and LEED certified. More information.